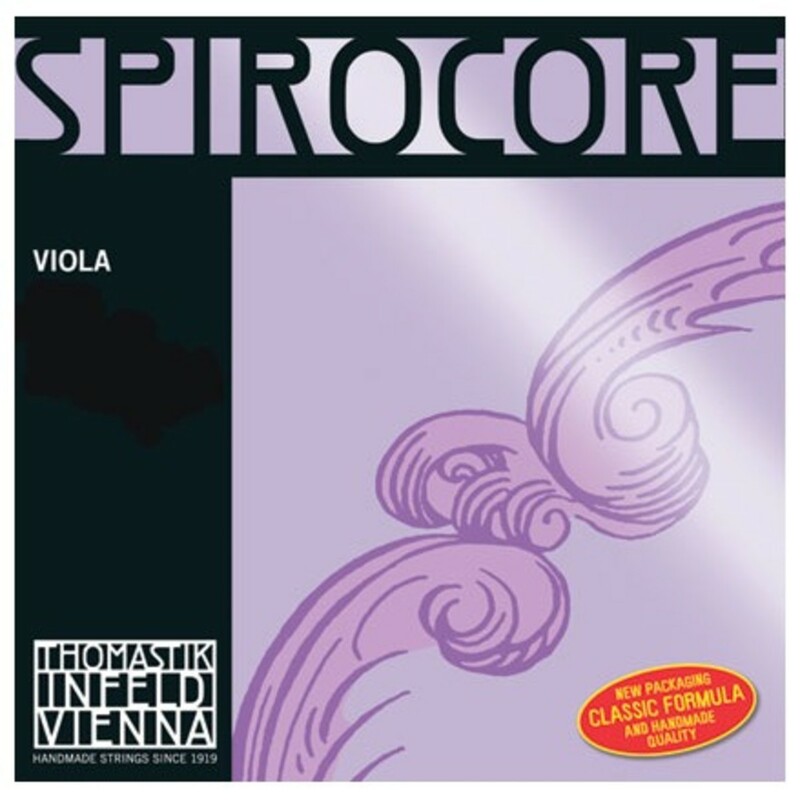 The Thomastik Spirocore 4/4 - Weak*R Viola String Set is a popular choice for versatile musicians as it offers unique tones and playability, two qualities they couldn't get from standard strings. The flexible multi wire spiral rope core is made from a high tensile steel which provides balanced tones full of clarity. Chrome steel winding increases the brightness of the overall sound and makes playing the instrument much more comfortable. The 4/4 strings are capable of producing an elongated stretch of musical vibrations whilst also largely reducing inertia. Featuring a light tension gauge which offers optimum versatility and is ideal for players who wish to concentrate the sound on their own playing style. The strings have a ball end suitable for musicians who require a reliable sound that maintains its voice over time. All spirocore strings feature a flexible multi wire spiral rope core which is capable of producing long periods of musical vibrations and helps to reduce inertia too. Spirocore strings are long lasting and highly responsive and work well when playing either arco or pizzicato. The strings chrome steel winding is suitable for a variety of musical preferences, which is another great advantage for a versatile performer. Popular for their distinctive tone and flexible playability, Spirocore strings are known as 'the reference standard'.